I've been addicted to hair products and finding what works best on my hair. I've had to take a step back from using 'too much' product in my hair, aka hair oil! I'm normally very good and use a small amount however I've noticed my hair is getting greasy pretty quickly. So I've taken a step back and have been using some products which where kindly sent to me by Label.M. I normally wash my hair every 3 days and normally find on the 3rd day I need a little help to get me through the day so rely on a dry shampoo. 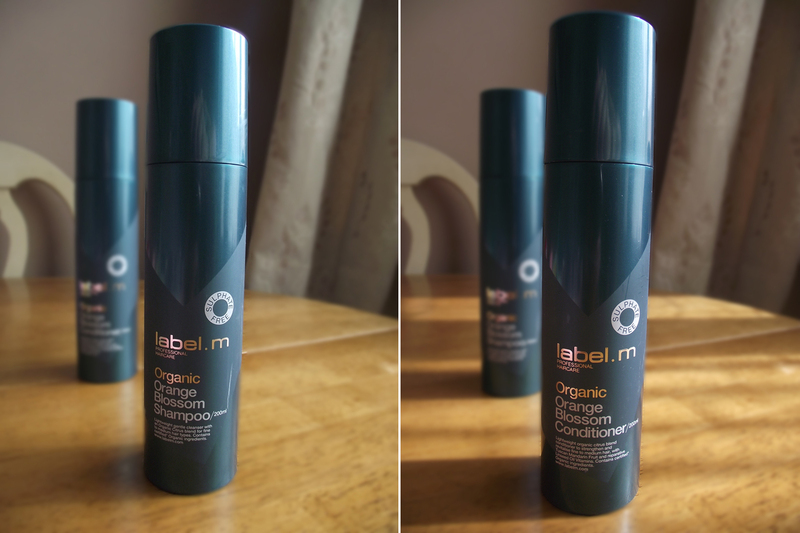 I've been testing out a new one from Label.M which has made such a difference. It doesn't leave you looking grey like so many do. I have what you may call combination,and no I'm not taking about my skin type but in fact my hair type. Trying to explain what type hair you have can be tricky, some people may have dry/split ends, or normal hair or if like me a bit of everything? I've always suffered from a dry itchy scalp and have learnt over the years some products help some hinder. I've found a couple of treatments which have helped but always seem to be looking for that 'perfect' treatment. Whilst having a dry itchy scalp my hair has a tendency of getting oily/greasy. So there you go I have 'combination' hair. So to help combat the greasiness I've been using a very soothing and calming shampoo & conditioner from the organic range, Orange Blossom- and yes this smells as good as it sounds. It's helped break down the build up of product which I had and therefore keeping the greasiness at bay. The conditioner is lovely and leaves my hair looking and feeling silky smooth. 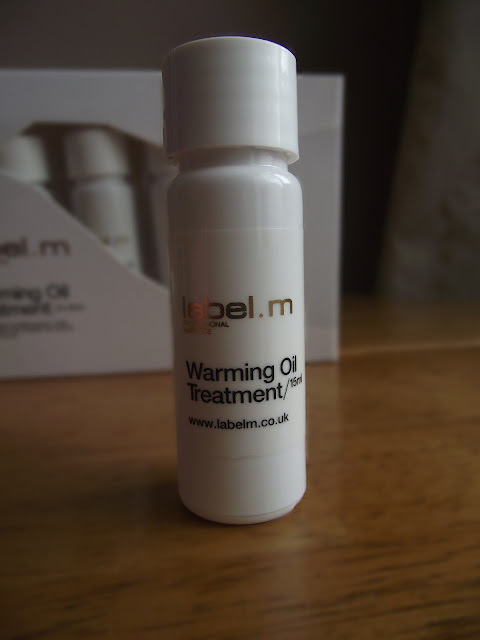 The other product which I've been using as a treatment is the Warming Oil Treatment. I've been using this on my scalp and it's worked wonders. I was a little apprehensive to start with seeings it's an oil and my hair has a tendency of getting greasy. It didn't leave a greasy/oily film and rinsed out with ease. I've used this treatment twice now and noticed an improvement from the first treatment but an even better improvement from the second treatment. You massage the oil into the scalp for a minute and you soon feel the warmth on your scalp, I loved this sensation and it felt like I was really giving my scalp a deep conditioning treat. I get two treatments out of one 15ml bottle. I've enjoyed and still am enjoying these products, however the stand outs for myself would be the Dry Shampoo and the Warming Oil Treatment. Label.M have collaborated with highly acclaimed fashion designer Giles Deacon. 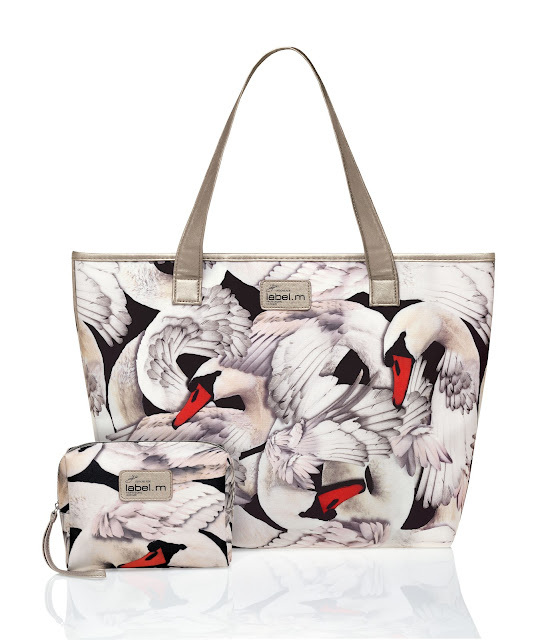 Giles Deacon has designed a striking tote bag and cosmetic pouch in the beautiful 'Swan' print taken from his SS'12 collection. OK so once you've all finished drooling over these stunning limited edition accessories for the Summer, you're all probably wanting to know how you can get your hands on them?? They will be available from specially appointed Label.M salons, you can check for salons near you on the Label.M web site. Have you tried Label.M? Will you be visting a salon to get your hands on these beautiful bags?